hello and happy sunday to you all!! 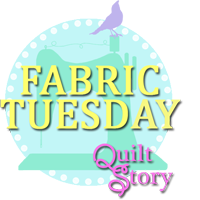 this week i am hosting sunday stash, thank you finding fifth :) it's a good week for me to host it as there has been quite a bit of fabric coming through my door! yes christmas fabric!! ( i love christmas!!) and 5 yards of yummy linen. all my sewing at the minute is christmas sewing, getting ready for the many craft fairs i've got lined up. i was browsing through pinterest as you do and spotted the dear mr. claus fabric by cosmo cricket and i fell in love with it, but of course it's an old collection, so it was quite hard to find, but i persevered and found it :) and the linen, cause you can never have too much linen!! i always hear people talking about their local quilt shop and i'm always soo jealous cause there isn't a good one here all the fabric shops here seem to have old fuddy-duddy fabrics, buut i finally found a good one it's about a half hour drive and it has like modern, current fabric!! it has avalon!! so i had to come home with some because it's soo rare to see proper fabric here haha and of course some solids. normally i don't like jelly rolls but i have a plan for this one and also i want quilts made of each one of bonnie and camilles collections and happy go lucky was getting hard to find, so i decided to snap it up before its gone! now add your sunday stashes up so i can look at pretty fabric!! so there was some interest in the low volume swap, so i thought i'd go ahead and run it! once you have chosen your fabric upload it to the flickr group, be sure to check there are no doubles of fabrics before you purchase yours!! 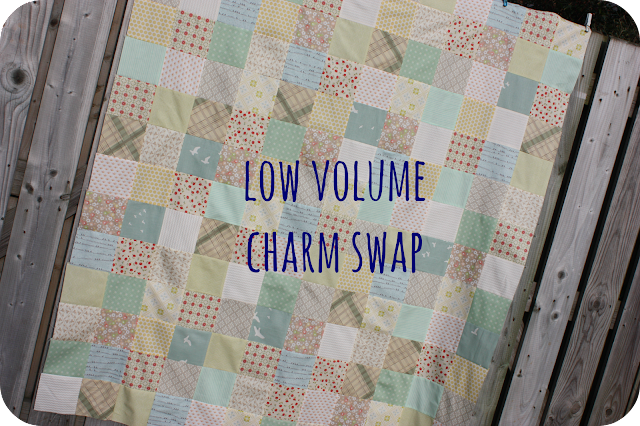 this swap will be 5 inch squares and from a yard of fabric you'll get 56 squares there is a great tutorial over at oh, fransson on how to cut them. get your pretty little charm squares over to me for the 2nd december, include in your parcel a pre-addressed envelope, now that's important so make sure you include it!! I will return your packages (assuming everyones arrive on time) on 9 december. for shipping i will send you all an email asking for the cost of shipping via paypal. ok all sound good? great, just leave a comment that you want to join :) and lets get swapping!! p.s oh and spread the word, more people equals more fabric! !